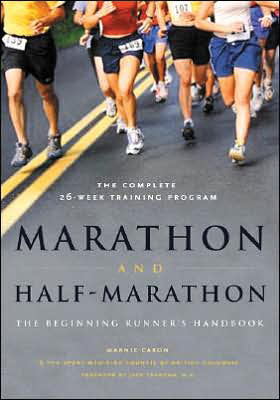 Building on the success of the popular Beginning Runner's Handbook, Marathon and Half Marathon shows you how to get motivated and set realistic goals, choose the proper shoes, eat right, build strength and endurance, and avoid sore muscles and injury. It also includes tips from elite runners on such subjects as motivation, consistency, log books, and running partners. Finally, the book describes strategies for how to change from a sedentary person to a runner, how to build the mental strength needed for distance running, and what to expect on race day.